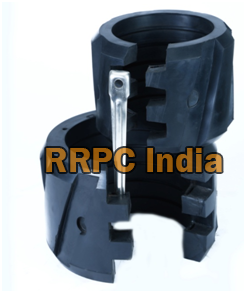 RRP designed one-piece Drill Pipe Protectors are manufactured by using high quality spring steel cage bonded with superior quality elastomer having horizontal internal grooves. This provides greater gripping power to the protectors while retaining its shape. Spiral fluted design allows streamlined flow of the drilling fluid causing least damage to the elastomeric portion. RRP Drill Pipe/ Casing Protectors ensures minimal casing damage, increases stability and reduces shock and vibration in the drill string. 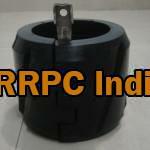 RRP manufacturers Drill pipe Protectors from Special Spring Steel Cage bonded to a special 75-80 duro Nitrile (NBR) compound that is resistant to gas blistering and almost unaffected by majority of drilling fluids and can sustain downhole temperatures exceeding 100° C.
For applications in sandy / highly deviated wells or multilateral wells a special high abrasion-resistant nitrile rubber material is used. 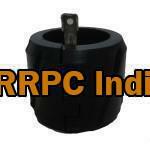 RRP Drillpipe / Casing Protectors are easy and quick to install with corrosion resistant tapered locking pins. 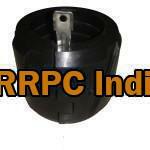 Mechanical installation tools are available for the installation and removal of the Drillpipe / Casing Protector. 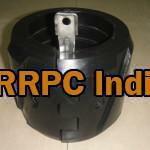 These Drill Pipe Protectors are eqivalent for Betis Drill Pipe Protectors and Regal Drill Pipe Protectors. 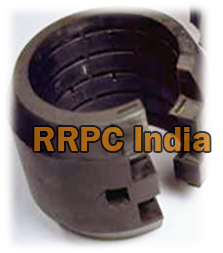 RRP manufactures both Fluted Type Drill Pipe Protector and Smooth Type Drill Pipe protectors which give the best wear performances. 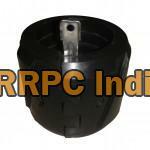 Along with the protectors a hinge is provided for easy opening and fast installation. Split-Smooth Drill pipe / Casing Protector are best suited for applications where circulation is not a problem. The OD of the protector is much smaller so the mud can pass through the annulus. Split-Fluted Drill pipe / Casing Protector are best suited for applications where there are high circulations of mud. In fluted design the OD of the protectors are bigger hence making it more shock absorbing and the fluted space on the outer surface of the protectors helps the mud to pass through the protectors easily.